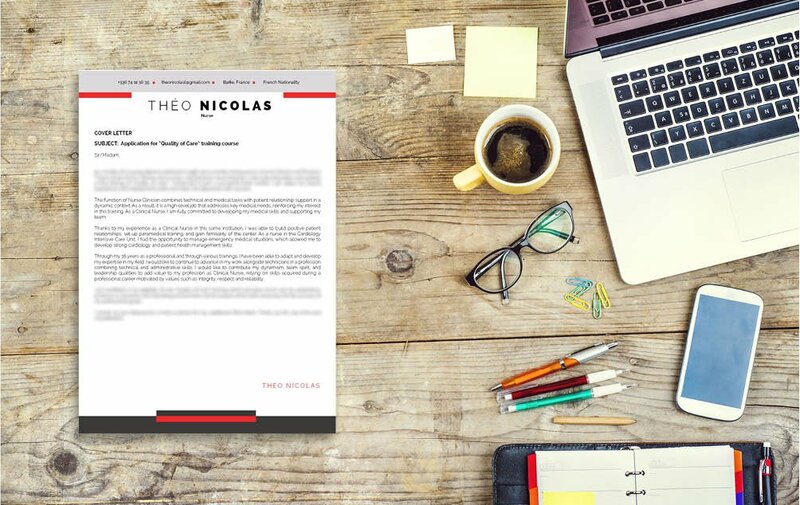 Designed with the modern professional in mind – a cover letter template with the utmost quality. 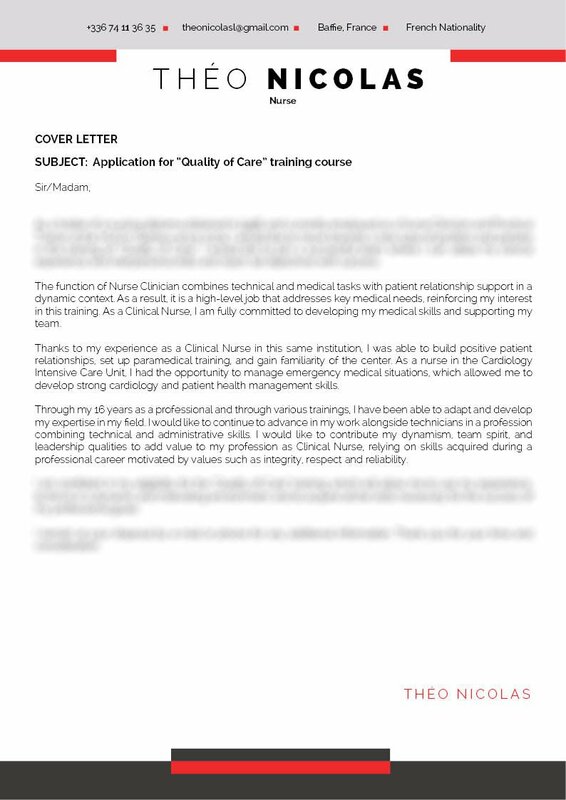 Cover letter to download "Medical-1"
This template has a perfectly eye-catching and original design that serves great functionality. 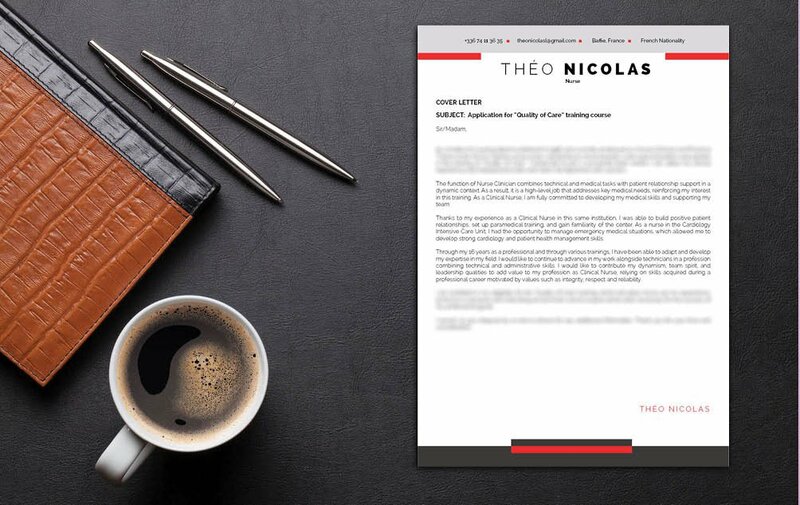 This cover letter template features a creative Cover letter design that can be used to apply for any job type out there! The color maroon gives this cover letter a more girly touch, so if you're an up and coming marketing specialist looking to start a great career then this cover letter template is perfect for you as it presents all your information with great detail, which is sure to help you land a job! A cover letter should get the attention of more recruiters and get you hired faster! But how can you make a cover letter design that can achieve this? 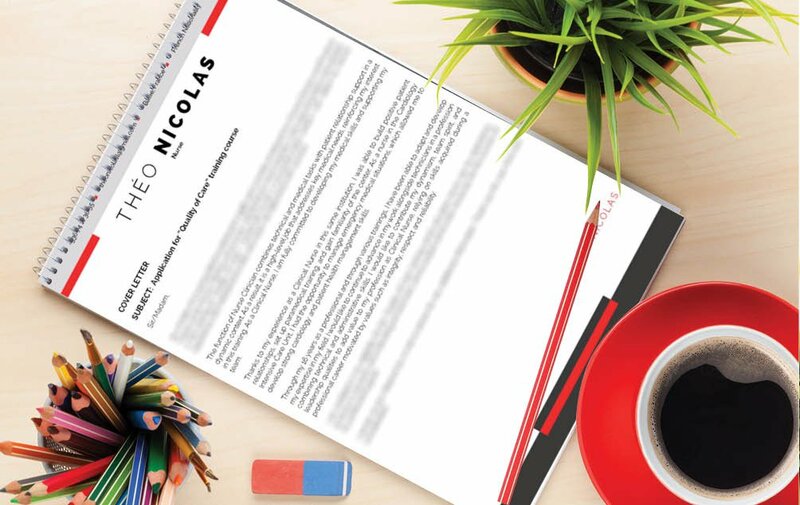 It's simple—all you need is a clear and comprehensive cover letter design. Use a professional font like Helvetica or Calibri, limit your font size between 11 and 12, and use italic and/or bold font styles to help guide the reader's eyes in reading your cover letter . Selectively apply graphics and bullets to give attention to the key parts of your cover letter. Lastly, give your cover letter a logical format by using headings and subheadings.